I love making things. Most times they turn out - and sometimes they don't. Either way it's just fun to try different crafts. And I've tried many! But the one I return to time and time again is quilting. I'm not an expert, but I think the recipients of my quilts have been happy! 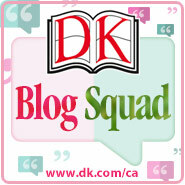 DK Canada has put together some suggestions for those of you looking to 'get crafty' in their Craft Boutique. The one thing a quilter can't have is enough fabric. But the next best thing? Uh huh - quilting books! Quilting: Patchwork and Appliqué is now happily living on the book shelf in my sewing room. The basics are included to get a new stitcher started - information on tools, fabrics, design, techniques and more. The next section has a small block gallery and the techniques needed to put the pieces together. (Hand piecing is included, but I'm a die hard machine quilter) And even though I've already quilted, I found a few good tips. I've avoided hexagons but think I'll them a try using the set in seams outline on page 101. Paper piecing is another technique I've avoided - but there is a good tutorial on this as well. DK books always have clear instructions accompanied by great detailed colour photos that make it easy to follow along. Most of the demonstrated techniques have a project included to practice the skills from that section - pillows, coaster, bags etc. What about the quilting itself? Again, many techniques and ideas included. Both machine and hand quilting instructions are detailed. 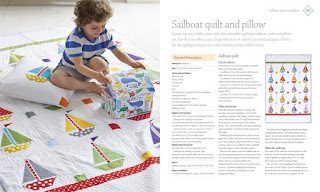 There are patterns for many different full size quilts at the end of the book. 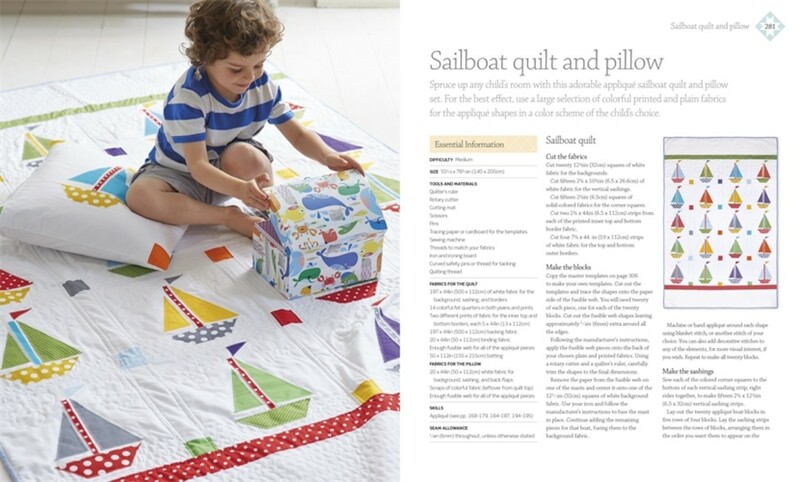 There's a sailboat quilt that I am absolutely going to make - it would make a great baby gift. 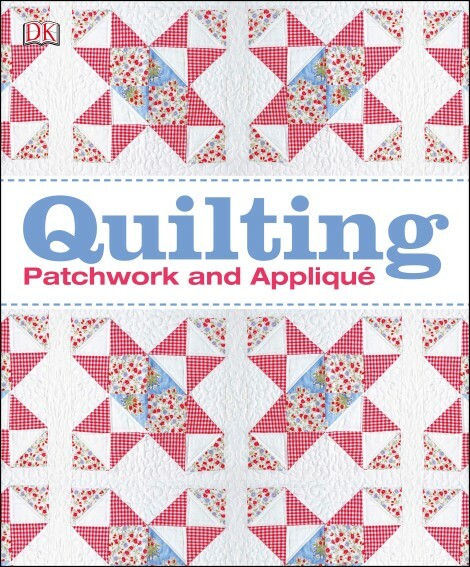 Beginners will find Quilting: Patchwork and Appliquè an invaluable resource. 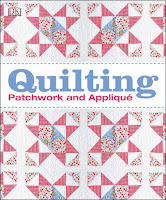 And seasoned - or somewhat seasoned ;0) - quilters will love adding this book to their collection!